i theres water in the carburetor. 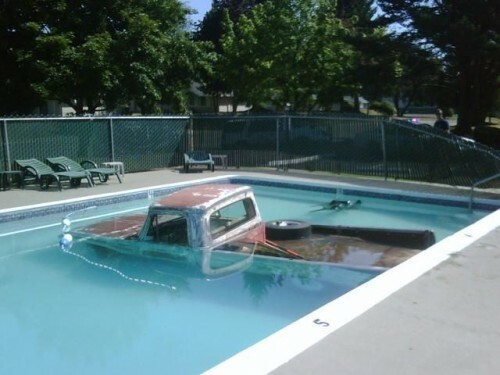 I guess its not an amphibious vehicle. Looks like they flooded the engine.